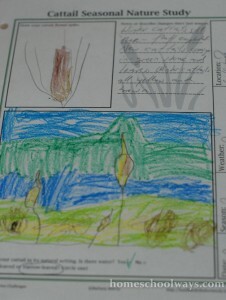 Last week I came across a cattail nature study on the inspiring Handbook of Nature Study blog. It totally rekindled my desire for nature studies with my children. Now that nature seems more friendly, with rising temperatures, I feel ready to take them outside for observations of the natural world. My husband helped me so much on this project. We live in the mountains. This is not Louisiana. I was positive we had no marsh lands and cattails in Gatlinburg. I was thinking I might have to drive one hour, to Knoxville, where they have a few lakes and ponds. 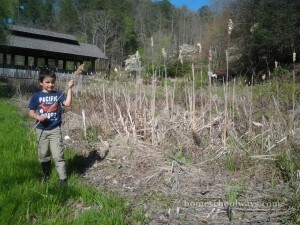 Then, as we drove back from church, my husband spotted cattails – five minutes from our house! We have been driving by that road every week and I never noticed cattails. That’s what nature study does for you. It improves your awareness of natural things. I read the recommended pages from Handbook of Nature Study. I took a camera and not much else. 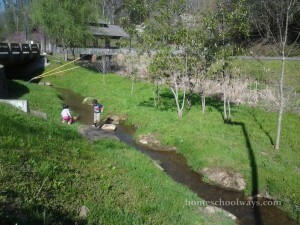 As it turned out, both my children slipped into the creek. But we had fun. I laughed it off and learned to bring a change of clothes next time, even if I think they will not follow me down there. Which, by the way, was the plan. 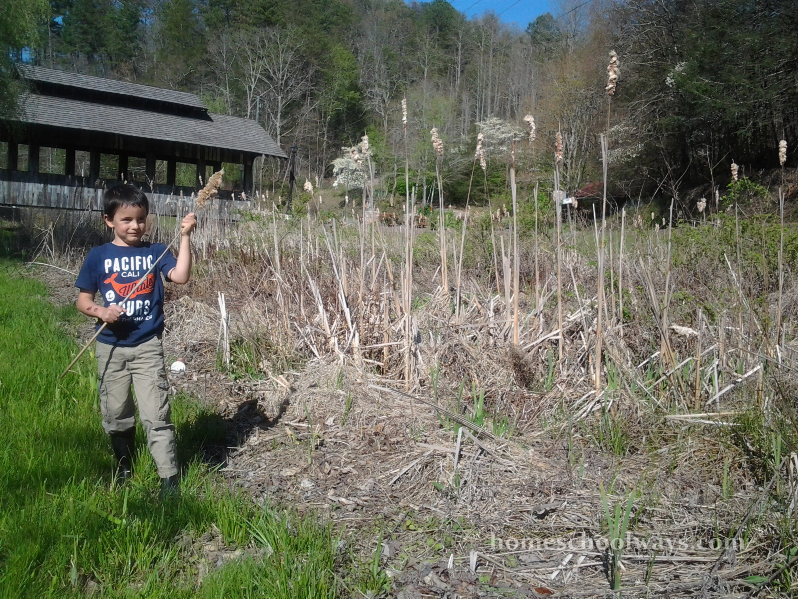 Daddy said there might be snakes, so I was going to be the only one to go down to the creek and marsh land to collect a cattail. We noticed the cattails were dried up and the fluff had completely exploded – winter cattails. 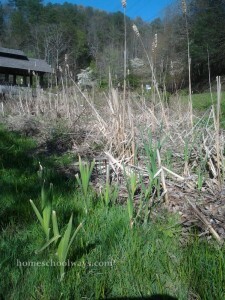 Right in front of them, we noticed green stems and leaves – spring cattails. So we got two seasons in one visit. How cool is that? Spring and winter cattails along Glades Rd. in Gatlinburg, TN. At home, I had them fill out a notebooking page by drawing. They are too young to be expected to write about the experience. 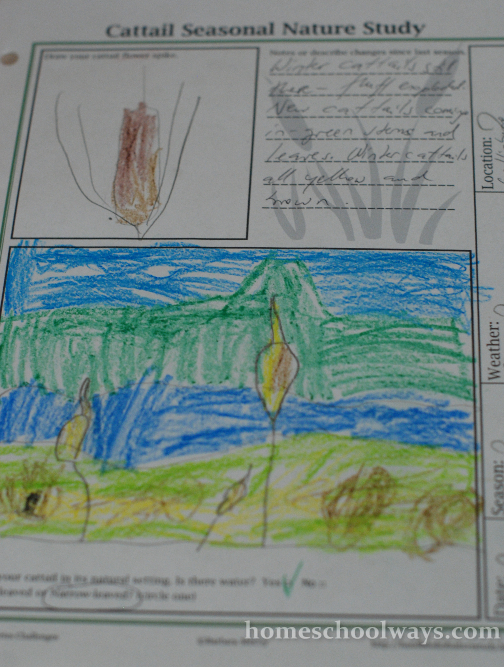 I wrote a few things for them, but they enjoyed drawing the creek, the sky, and the cattails. Looking forward to our next adventure. My son’s cattail notebooking page. He drew and I wrote. 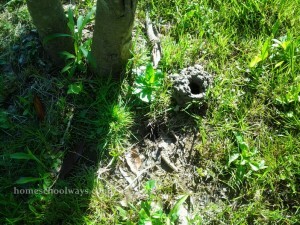 We also found a nest of some sort in the ground. It felt pretty hard. It looks like the perfect home for a snake, don’t you think? 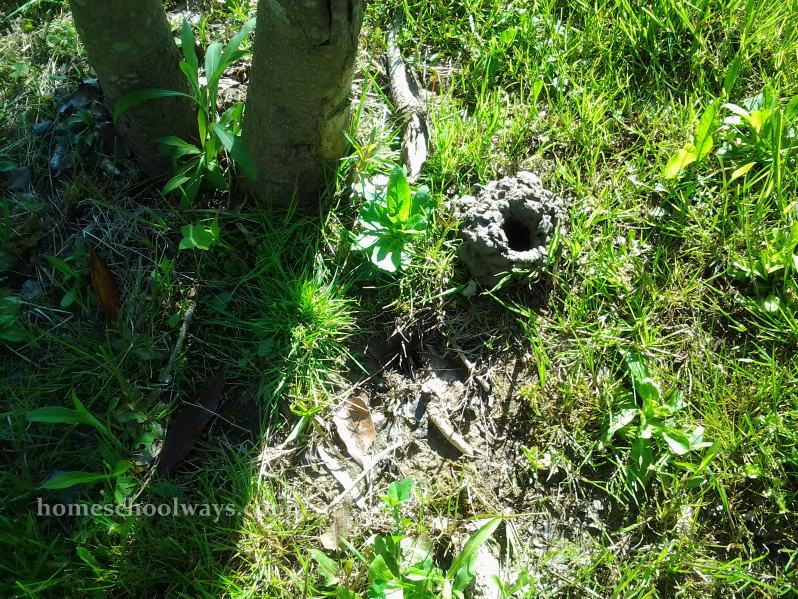 We found this on the ground around the cattails: a snake hole maybe? 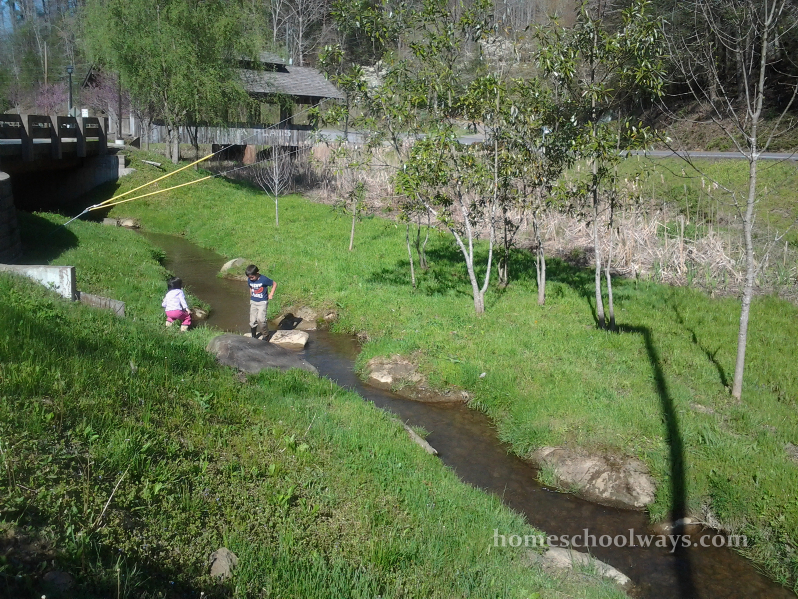 This post is the first in a new series on Homeschool Ways, about our nature studies. We will call it Wonderful Wednesday because the natural world, God’s creation, is wonderful.